Want To Learn More About Launch Good? 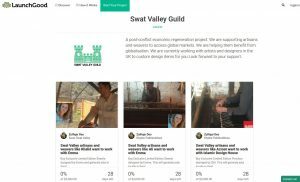 Swat Valley Guild is another great crowdfunding campaign that I wanted to bring to my readers attention. Also, to highlight a new kind of crowdfunding site called Launch Good.